Say, Is Anyone Else Talking Themselves Into a Red Sox Reunion With Hanley Ramirez? Jon Lester. Wonder how he’s going to like pitching for Joe Maddon and wearing that Little Bo Peep outfit when the Cubs have that inevitable, mandatory Dress Up Like a Fairy Tale Character road trip. James Shields: His nickname is a punchline, but he was the ace of a team that was two runs from winning the World Series. The regular-season track record matters, and he’s a positive influence on young pitchers. I’d take him. Pablo Sandoval. Can’t see him leaving the Giants. He has as many rings there as Big Papi and 22 early-2000s Patriots do here. Andrew Miller. To take the burden off of Koji, presuming John Farrell allows that to happen. All of the good Cuban defectors: Self-explanatory. The next Jose Abreu? Please come to Boston. The next Yuniesky Bettancourt? Hey, did you hear? The Yankees need a shortstop. You should go to there. Miller: A 29-year-old lefty with a 0.80 WHIP and a 14.9 K/9 rate last year is going to have more teams after him than there will be teams who aren’t after him. But he loved it here, the Red Sox straightened out his career, and they’ll pay him. Shields: They’re going to have to trade for a true ace. But he’s a dependable, qualified No. 2. Now stop making me defend James Shields, please. A couple of more relievers: At the top of my list: Pat Neshek, or a talented comeback case such as Brett Anderson. I bet they sign Justin Masterson, too. 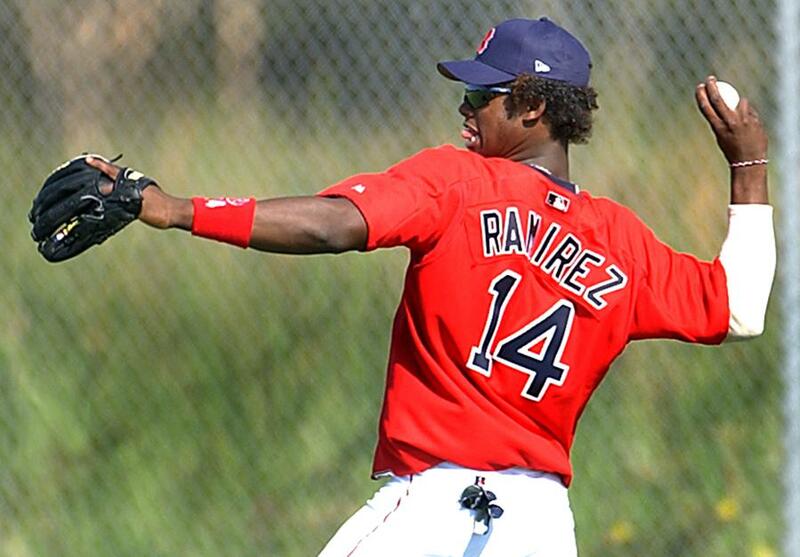 Hanley Ramirez: Wait, wait, I know. If I don’t rattle off all of the reasons the Red Sox should not sign him (injury-prone, would cost a second-round pick, over 30, defensively subpar, occasional attitude readjustments necessary), you’re going to tell me. I get that. But I also wonder if those issues might make him a bargain relative to his ability. This is a player who was eighth in the MVP balloting in 2013 — despite playing just 86 games. When you hit .345/.402/.638 in that span, with 20 homers, your half-season is better than most players’ full season. He wasn’t as good last year, and missed 34 games. But he did play 157 in 2012, and he was one of the most durable players in baseball for a five-year stretch during his Marlins youth. He’s a risk, sure. But so is Sandoval, whose OPS has declined, Pedroia-style, for three straight seasons. If some of Ramirez’s negatives scare off other teams, I’d love to see the Red Sox bring him back to the organization in which he began his career on a short-term, big-money deal. He’s not going to take a pillow contract like Adrian Beltre did in 2010. And he wouldn’t be a perfect fit — he’s a righthanded hitter, and that left side of the defense with Ramirez at third and Xander Bogaerts at shortstop would be the opposite of the Jose Iglesias/Stephen Drew tandem for much of 2013. But Ramirez hits at an elite level. If that’s overlooked amid the nitpicking, well, here’s to the Red Sox being the team that recognizes what he does do so well rather than dwelling on the flaws. Especially if the price is right.